The debate is over—online marketing is essential to the success of a modern car dealership. Actually the debate ended a few years ago, but that doesn’t mean that sorting through all the different methods and channels for marketing online has become any easier. 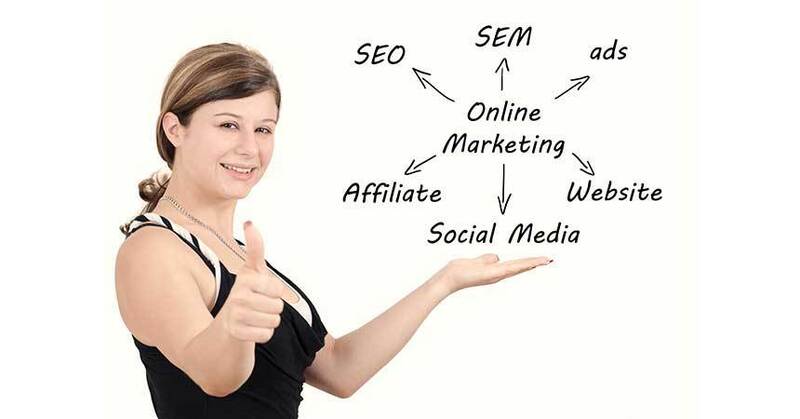 In fact, online marketing has only become more complicated as it has become more important. The rise of the mobile web means that consumers are browsing your website on a multitude of different devices, social media has only grown in importance, new search algorithms have made SEO and SEM more complicated, and of course none of this means that traditional online marketing (can you call online marketing traditional yet?) has gone away. Complicating matters further is that what works in one dealership may not work in another. An online marketing plan for a dealer in downtown Los Angeles will be very different from that of a dealership in rural Iowa. The best strategy for your dealership must ultimately be determined by education, experience, experimentation, and data. To help you navigate the waters of online marketing we spoke to several experts on auto dealership online marketing. They were Joe Webb Founder of DealerKnows, Glenn Pasch CEO of PCG Digital Marketing, and Scott Pechstein Vice President of Sales for Autobytel Inc. We asked them a series of questions about the current state of online marketing and how dealers can use it to grow their business. We’re also interested in what you think about online marketing, so visit us at DealerMarketing.com/forum and give us your thoughts and opinions. Dealer Marketing Magazine: What is the best type of online marketing for dealers to reach local customers (SEM, banner ads, pre-roll video, social media marketing, etc.)? Why? Joe Webb: The simple answer is “Targeted.” Every dealer is different, and where some see success surrounding certain types of display or search marketing with click-thru rates, others see little more than impressions. The more targeted you can be when attempting to reach down-funnel, in-market shoppers, the more successful your click rate often will be. Retargeting can have a low cost, but yield great returns. Pre-roll (which I was doing back in ’05) can make very lasting impressions for front-of-mind awareness with consumers, but little click-thrus. Dealers must be sure they simply aren’t spraying and praying display ads across endless sites, with no specific call-to-action to engage that consumer. There must be a rhyme to their reasoning. Glenn Pasch: I feel that the most cost effective way to reach local customers is the use of remarketing banner ads and video pre-roll. With the abilities to set your target areas, following people who came to your site with specific messages, tailored to their shopping needs, it really effective. YouTube is so popular, why would you not want to have your pre-roll ad playing to in market shoppers. Scott Pechstein: The best approach we’ve seen among our member dealers is one that integrates web-based leads with mobile applications. Recent statistics show that 90% of text messages are read within three minutes of delivery, text messaging produces engagement rates that are six to eight times higher than email and 49% of mobile auto searchers purchase the same day of their research. The statistics are too compelling to ignore. Consumer preference for communicating has rapidly switched to texting over phone calls or emails. Therefore, a solid mobile component that includes text leads and text message-marketing—through a texting platform that monitors and tracks conversations between customers and sales staff, one that manages opt-ins and opt-outs, and one that protects dealers from violating today’s very stringent Telephone Consumer Protection Act (TCPA) guidelines, is absolutely critical to success. DMM: What does the rise in content marketing and evolving search algorithms mean to dealers’ search marketing? GP: With the changes to search, good content is now more important than ever. The problem is, there are many who keep telling dealers it is just SEO to their site that helps their search. We feel good content both on and off site will help attract customers and help search results. JW: Content and content creation have been terms bandied about for quite a few years now. Simply put, if you’re building a library (which your website can be), the more pages to be read or media able to be consumed will make your library more appealing to readers. A quantity of content isn’t the measurement, but quality. Hiring a digital ambassador to generate unique content in multiple mediums will help you attract the eyes of consumers and of Google. DMM: How can dealers use social media to connect with consumers? JW: They can use social media much the same way they connect with each other. By being a supportive part of the community. Engage in friendships, listen to your customers, be thankful, be grateful, be supportive, be funny, share interesting news, evergreen content, valuable discounts. These are those people you like being connected to online. Become human in your social media activities. Organic search and visibility of status updates on FB, in particular, are going by the wayside. Dealers should hire someone familiar with the platforms full-time or engage with an outside agency that can help direct their efforts. GP: Social media is a long term play. With FB changing its reach, it is becoming more of an advertising platform. It is still cost effective to use it, because many have not realized its ability to target using Polk Data, but soon they will. As for Twitter, Instagram, Google + etc, these are more for long term building of brand, showing who the dealership is more than just pushing sales. DMM: What can dealers do to take advantage of the explosion of the mobile web? SP: Having a fine tuned mobile strategy is key. This strategy should include texting (by way of a secure platform that monitors conversations, manages opt-ins and opt-outs, and protects you from violating strict legal guidelines) since most consumers prefer to communicate by text today versus phone calls or emails. It should also include a custom mobile website (not an existing website that’s been re-purposed for mobile) that’s built for maximum lead generation; one that is easy to use and intuitive to navigate, with large photos and videos that properly showcase your inventory; and one that integrates text messaging capabilities. Finally, a solid mobile plan should also include customized apps that enable you to build loyalty and communicate with your customers, even when they’re not in the sales funnel, to keep them coming back to your dealership. GP: First they have to make sure they have the proper website. Many platforms are focusing on adaptive and responsive sites so make sure your site works well on all mobile devises. Secondly, make sure that you are properly setting up your paid search with click to call. We are seeing a growth in calls from mobile devices so if you are not focusing on this area, you are losing opportunities. JW: Simply put, they can promote it. Beyond choosing between an adaptive or responsive mobile web design, they can champion mobile usage in the showroom (and with showrooming customers) by bringing mobile technology to the forefront. Even OEMs recognize the usage of mobile in the showroom, and several are creating great mobile apps to educate both the sales floor and the customer. Putting your dealership’s mobile device with carefully selected apps that can help influence a consumer decision rather than letting them research and price compare on their own device can truly show you are adapting to a more mobile consumer experience. DMM: What is the biggest aspect of online marketing that dealers often fail to take advantage of? GP: Having a unified message across offline, online, and on site marketing. I have seen this too many times where one aspect does not gel with the other aspect. Remember all offline marketing is driving shoppers to your online presence. If it is not a similar message, look and feel you will confuse customers and lose opportunities. JW: If there is something significantly overlooked by most dealerships when it comes to internet marketing it’s not a tool, but a concept and practice. Internet marketing does not, and should not, only be handled by one or two people in the dealership. Every employee is an internet marketer. They have the same online habits as your typical customer. They’re social. They’re searching and researching. They’re mobile. They have a phone in their pocket that is a higher-powered video camera than what you could buy in a retail outlet 10 years ago. To truly become an internet dealership, we must involve every employee as a content creator and mobile web communicator using the smartphones they already have in their pockets. Everyone needs to be an online evangelist from the store and use technology as a way to further improve the consumer experience. When it becomes a group effort, and all departments are utilizing technology, the content you’ll generate will help you position yourselves as leaders into the future. These digital initiatives on the floor are just some of the things we work with our dealer clients to embrace and implement. Still to this day, the best marketing you can employ at your dealership is your own people. SP: Actually, there are a number of aspects dealers often fail to take advantage of. For starters, the general consensus in the industry is that the traditional buying funnel still exists. The reality, however, is that it has changed dramatically. There is no longer a funnel, but rather shopping consideration happens throughout the entire process. What’s more, most dealers don’t have a clear mobile strategy and are not harnessing the enormous capabilities and opportunities that mobile brings, such as lead generation, marketing, and loyalty building among their customers. Further still, they’re not taking full advantage of their dealership’s desktop and mobile website capabilities. When it comes to a traditional desktop website, there are technologies that enable dealers to guide consumers through every aspect of their website, much like they would guide consumers through their physical showroom, including helping customers configure new cars, browse used car inventory—even complete a finance application. And many dealers repurpose their existing desktop website for mobile without relying on customized designs that provide maximum lead generation capabilities, easy and intuitive navigation for handheld devices, and integrated text messaging features. Mobile is the new frontier in car sales, yet many dealers aren’t ready for this new frontier.